“I gladly sacrifice my life for the good of others. One life will make the difference, and that life could be mine. 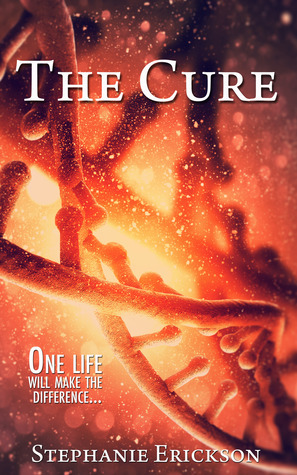 For this reason, I’m devoted to finding the cure.” (Kindle Locations 59-60). In a world that is on quarantine from a disease that kills 75% of the population, the push for the cure also lowers life expectancies. It is only through human trials that the government thinks a cure can be found. “Sixteen was a big birthday, though. The year everyone got their date— the day when you would live or die, the day when you would endure the experiments to find a cure. Everyone was given a date that would not precede their twentieth birthday. The date was then effective for the rest of your life. Every ten years, you would endure the testing on that date, until your sixtieth birthday— if you lived that long.” (Kindle Locations 457-459). Macey questions the system of dates. Is there really even a disease or is the Cure a way to keep the people in line and the population in control? Macey is an artist about to enter her final year of schooling when she finds out her date will arrive two years earlier than anybody else’s has. She feels gypped, that her whole world and all that she knows is in chaos. She ponders quitting school and starting an artist apprenticeship. She ponders politically incorrect drawings. She ponders life as those around her come up on their own dates and may never return. Stephanie Erickson is able to build her world from the very first sentence. She evokes the time and the setting with those first words. I was shown right away a totalitarian society in a post-apocalyptic dying world and I knew I was going to love this book. Erickson lays out all the important information in the beginning of the story, but layers it throughout the interactions the main character Macey has with her world and environment. I enjoyed the fact that Macey had one skill and one activity she liked above others. She was an artist and her world revolved around her art and the way she creatively viewed herself and her world. I have never been much of an artist or understood having that kind of skill, so seeing it through Macey’s eyes was exhilarating and eye-opening. On top of a good story with emotional draw, Erickson gave me something else to take away from The Cure. After the initial setup for the plot and showing the condition the main characters lived in and how their world was set up, the plot began to meander and you’re just waiting for the other boot to drop. It is Macey’s date. Her date is significant. Will the book just end? What will happen? The reader isn’t given much information, just like Macey isn’t until she gets there. I like how Erickson crafted the ultimate difficult situation for her main character and showed how Macey thought through her decision and the supposed consequences of each decision and how they would affect her life. It’s always fascinating to watch someone struggle with an important decision and to feel their anxiety and watch as they choose their paths in life. Erickson captured Macey’s emotional struggle in this novel. This novel was published through Createspace Independent Publishing Platform 11/27/2013 and is available on Amazon here.